Mark Thomson and I were in Tokyo earlier this month as part of an annual exchange ASPI has with the National Institute for Defense Studies . The two organisations have been doing exchanges for over a decade, and it’s been interesting to see how the topics of discussion have evolved in parallel to the security relationship between our two countries. There’s always a lot to cover, but this time around the three main topics were submarines, the South China Sea (SCS) and Australia’s leadership change (specifically, what it might mean for security policy). It remains to be seen what steps beyond rhetoric Australia is prepared to take in support of US activities to assert ‘freedom of navigation’. There have been suggestions that Australia should conduct a similar operation. One such came from former Foreign Minister  Gareth Evans. Representing the opposing school of thought is another former Foreign Minister in Bob Carr . On the Liberal side, I think it’s fair to say that former Prime Minister Abbott might have found a freedom of navigation exercise appealing. Mr Turnbull might take a different view, but we can’t yet be sure. Some worry that Australia faces a potentially damaging backlash from China if we push on the SCS issue. I’m not so sure. When China declared an ADIZ in the East China Sea, Australia was a vocal critic, and the Foreign Minister had the Chinese ambassador to Australia summoned for a formal communication of Australia’s disapproval . Australia also warned that it would also object to any future ADIZ declaration in the SCS . Australia’s position drew a strident response from China, which described it as ‘irresponsible and mistaken ’ and added that Australia should ‘immediately correct its mistake, so as to avoid damaging China–Australia relations’. Australia didn’t withdraw its criticism, and there were no visible consequences as a result. 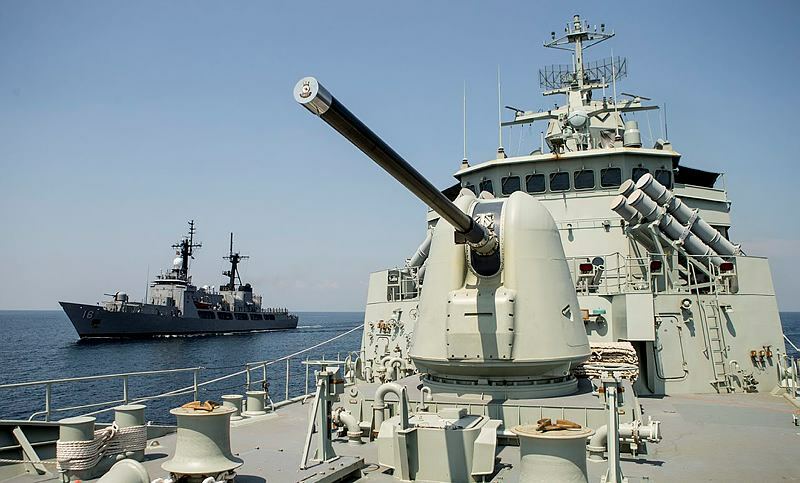 In fact, since then, the Australian and Chinese navies have just conducted their second live fire exercise  and the two countries have negotiated a free trade agreement . That suggests that assertions of our strategic interests don’t carry the downside risk that’s sometimes argued—Mark was probably right when he observed  that China has less leverage over Australia than is often thought. But following Australia’s support of recent USN activity, China is following its usual script of telling Australia following the US example will ‘only bring trouble ’. Australia will need to decide what it’s prepared to do, so Mr Turnbull and his National Security Committee have to form a position on this issue that attempts to preserve our strategic interests against encroachment. They’ll also need contingency plans in case of a crisis—another EP-3 like incident  (PDF) could warm things up quickly.